Apply For Immigration to Finland .Working in Finland can be very interesting but before you can work there, it is mandatory to have a residence permit based on the employment and immigration given by the Finland state. Finland is one of the members of the European Union and therefore to get immigration here the foreigners and foreign nationals must apply for the residence permit as soon as possible for them. These permits can be given in varying situations and have different requirements according to your purpose of immigration i.e. employment, residence, marriage or studying. All those people who are applying for the immigration and visa of Finland are required to make an appointment with the embassy of Finland in advance. All the detailed information is given at the website of the embassy and therefore all the applicants are recommended to read them carefully in order to avoid hassle and confusions. Appointments are available at the immigration section and their telephone number is also given in case you need personal assistance regarding appointments. The applicants are allowed to be at the embassy on time so their immigration process can be started. A non-European citizen wanting to get the immigration of Finland must apply for a residence permit to get engaged into any productive activities. These rules are applicable regardless of the employment or self-employment of the applicant. To apply for immigration, the applicant must fill out an application form which is available online and at the embassy. To apply for immigration, the applicant should have an employer in Finland who can provide all the additional information and paperwork needing at the time of your application processing. It is strongly recommended for the applicant to read and understand all the instructions carefully so they can prepare good for their application and reduce the processing time. The application languages that can be chosen are English, Swedish or Finnish and all the documents if in any other language should be given in the form of English translation. Having a passport is obligatory which should be entitled for travel to Finland or other European countries. It should be usable for at least six months or more at the time of immigration if not excused by the nation’s precise provisions and contracts. Visa application form is also essential to have in print form with the receipt of application fee. This sum will be detailed in the documents and must be remunerated before the interview. The number of receipt should be acknowledged by the candidate for their agreed request. 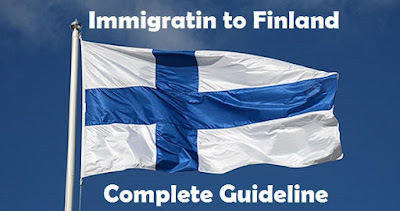 The duration of the process may vary from person to person depending upon their purpose of immigration to Finland. After tour application has been approved, applicant must book his flight tickets and should submit all the requested documents at the time of traveling. The applicant must have paid return flight ticket, travel insurance certificates and details of insurance benefit packages after submission of which the embassy will let you know when you can pick your visa up along with your original passport.